Beautiful antique 19th century collector's cabinet on wheels. 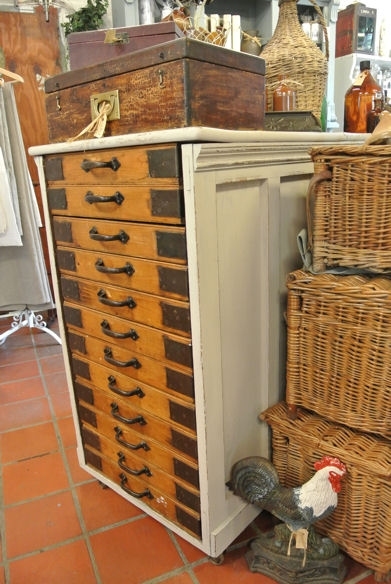 Distressed white paint on the outside, unpainted drawers with beautiful wrought iron fittings. 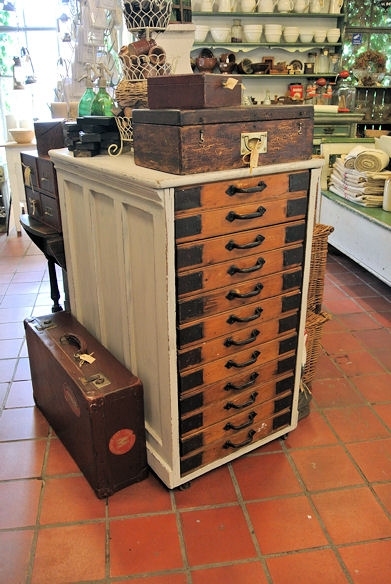 In great condition, very heavy and sturdy cabinet. Approx. 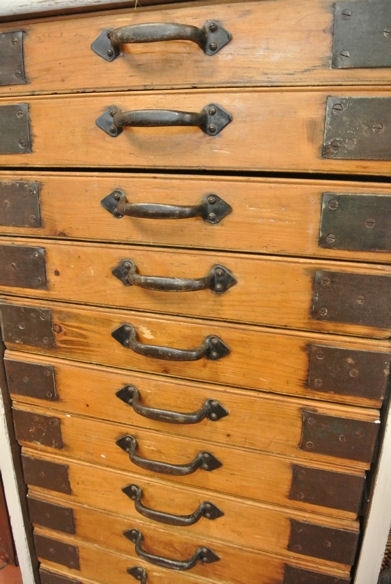 57,5 cm wide, 78 cm deep and 101 cm high.